Get out of debt. Grow your savings. Save for the unexpected. Take control of your money! Budget Ease uses the tried and true envelope budgeting system. It’s simple to understand and will help you always know how much money you have left to spend and keep you from going over budget. When your money is divided up into envelopes, you always know what each dollar is for. Envelopes make it easy to know what you can spend money on. If the balance says you have money left, then you know you can spend it. Once an envelope hits $0.00 it’s time to stop spending. If you go over, the envelope will turn red so you can see where you’re overspending. The envelope budgeting method makes it simple to create a budget exactly how you need it to be. Then you can see how your spending compares to your budget plan. We even get you started with some commonly used envelopes, but you can customize it all you want. 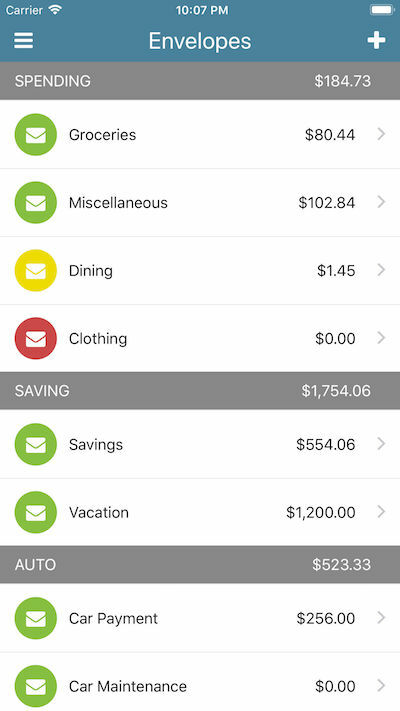 With our easy to use smart phone apps it’s easy to keep up with your budget and to enter expenses on the go when you spend money. You can even upload an image of the receipt for safe keeping. 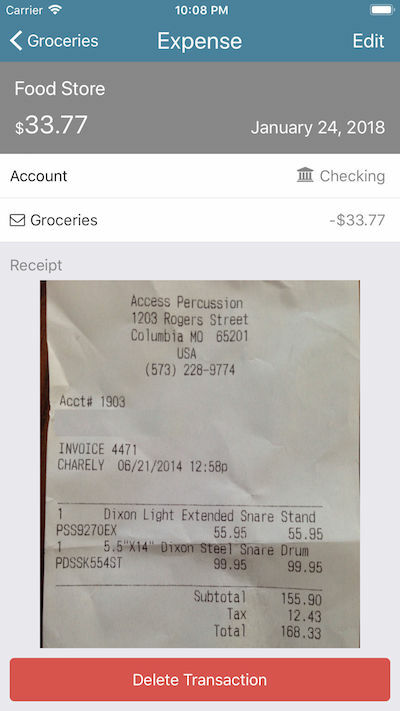 That way you’ll never have to deal with lost receipts again. You can even submit your expenses by text message. Which means you can use voice apps like Siri on the iPhone to make it even easier to keep your envelope balances up to date. With Budget Ease you can track your bank balance and even see how much money you’ll have up to two weeks in advance. We’ll show you when your bills and income are due and how much money you’ll have available.